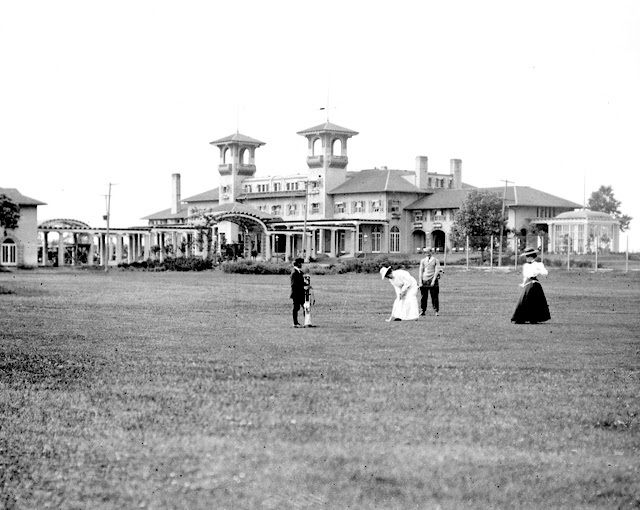 March 10, 1913 -- The South Shore Country Club closes its membership, announcing that new members will only be accepted in the event of a death or resignation. This leaves the club, founded in 1905, with 1,027 members and 200 perpetual members. Club members also vote unanimously to improve the facility, designed by Benjamin Henry Marshall and Charles Eli Fox, recommending a $500,000 bond issue to pay for an updated facility, which was completed in 1916 in a Mediterranean Modern style. This is the building that is today the South Shore Cultural Center, the exterior of which served as the site of the Palace Hotel Ballroom in the 1980 Blues Brothers movie.